Ms. Khetarpal is the founder of the Chicago office’s Higher Education Group. The group focuses on solving workplace law and other civil rights challenges facing higher education institutions. It represents both public and private universities in a range of matters including tenure cases, Title IX claims, strategic investigations, student claims, constitutional and state statutory issues and traditional labor matters. Ms. Khetarpal also serves as the Chicago office’s e-discovery liaison. She has specialized training and experience regarding the preservation, collection, review and production of electronically stored information. She counsels the firm’s attorneys in navigating the constantly-evolving standards imposed by courts regarding a wide variety of e-discovery related issues. Ms. Khetarpal also devotes a significant amount of time to encouraging diversity within the legal profession. She is a Co-Chair of Jackson Lewis’ Asian American Resource Group. She has also served on the Board of the Indian American Bar Association of Chicago and the Diversity Scholarship Foundation’s Unity Dinner planning committee in 2014 and 2015. Ms. Khetarpal also frequently speaks on topics related to women in the law and successful work-life balance. 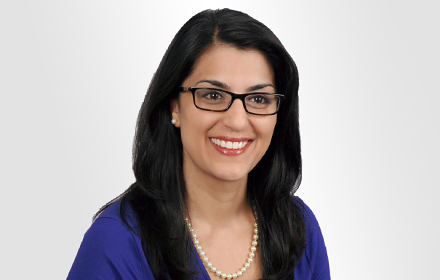 Ms. Khetarpal has been named a Super Lawyers Rising Star every year since 2010.